The Digital PTO Premium Plus Paypal Plan is our Most Popular Plan and offers all of the same great features that the Premium Plans offer plus the ability to accept Paypal payments directly within your custom online forms. Our Premium Plus Plans also have access to our Events Calendar which is our most beautiful robust calendar available. All of our Paid Plans offer unlimited news posts and informational pages as well as the ability to upload images and have them perfectly sized with one click. You can also upload PDF documents to your website. Premium Plus Paypal Plans can upload a whopping 100 Mb (a full Gig!) of storage space. 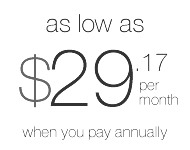 Now Premium Plus Plans also offer Automatic Email Newsletter Blasts to your community as well! Premium + Paypal Members have access to our Standard themes as well both our Enhanced and Premium Theme libraries. The Premium + Paypal Plan comes with a customizable Contact Us form, a customizable PTA / PTO Volunteer Sign Up form, and a customizable PTO / PTA Family Registration form, all of which can be enabled to accept payments from Paypal if desired. Premium Plus Paypal members can also create unlimited forms with or without Paypal enabled payments. All of the data can be downloaded in .csv format and used in a variety of other programs. Premium Plans now have the ability to enable automatic email newsletter blasts! You can import subscribers and/or allow users to sign up on your website and when you publish news to your website it will automatically be emailed out to your subscribers with no work on your part! You can send instant emails (one email per news article), daily emails (one email per day with all the articles from the day) or weekly emails (one email per week with the previous weeks news articles). Once it’s set up, you have to do NOTHING other than add news to your website, we take care of the rest automatically! Premium + Paypal Plans are able to integrate directly with Facebook if your school or PTA / PTO has a Facebook Page. Premium + Paypal Plans are 3rd party Ad Free (unlike the Free Plan). 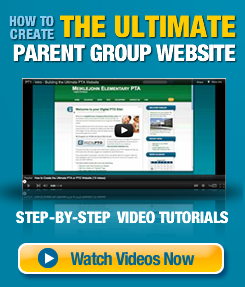 Additionally, Parent Groups can assign their own domain name to a Premium + Paypal Plan website. The Premium + Paypal Plan also has a beautiful smart phone (iPhone, Android or Black Berry) interface built in and an additional theme specifically designed for iPad and tablets. The Premium + Paypal Plan has access to direct priority email support, so if you get stuck and need assistance, you have easy access to our staff. Please note, there are fee’s collected by Paypal when you accept payments. Please visit Paypal.com for details on their fee structure.